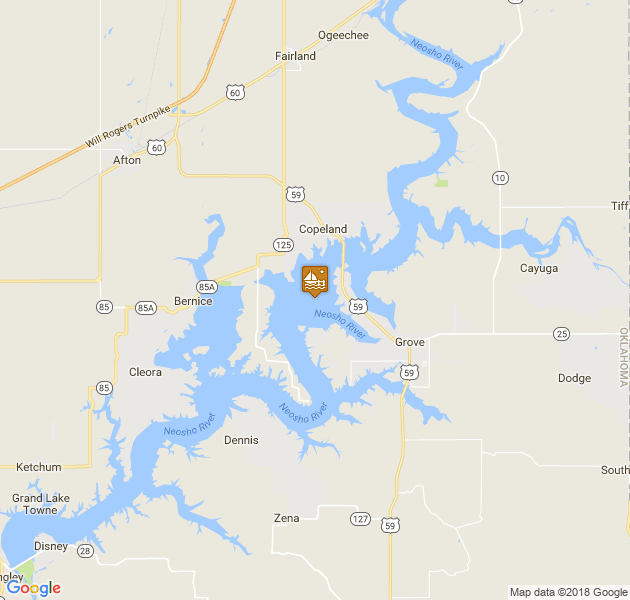 The Cherokee Yacht Club & Marina is located in Cleora, Oklahoma near Grand Lake. The full service marina is located at 33152 Browning Lane. The business was established in 1947 and the facility is located near Duck Creek. Facilities and activities are offered for club members including a ship store, full marina services, fuel along with pump out stations. Boat sales are offered along with services to members. Addition amenities for being a part of the club include private dining, game room areas, shower facilities, and more. The club offers over 170 covered slips ranging in different sized. The marina offers access to nearby golfing, shore power, patio decking, and cable television. More information regarding boat sales, or rentals can be viewed on their website link provided. The ship store is located at the end of E-Dock providing easy access for renters to head to Grand Lake for the day. Items are available for every member of the family including boating supplies, swimming supplies, clothing accessories, food items, and more. 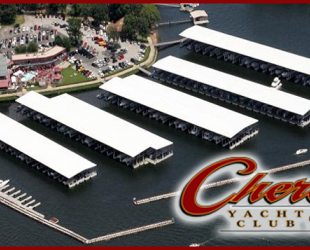 For more information on the Cherokee Yacht Club and Marina, please contact 918-782-4421.